Image credit: G Town Brewery. If all goes as planned for a Greenville couple, circus acts may soon be added to the list of event options to consider when choosing what North Texas brewery to visit on weekends. G Town Brewery is the dream of Laura Dunn and Visan España. Their journey began when Dunn, a London-born dancer, decided to come to the United States and run away with the circus in 2014. There, she met and became engaged to España, a fourth-generation circus performer who was born in Mexico and raised in Greenville. After getting together, the two talked of opening their own bar and restaurant. Eventually, though, those thoughts turned to starting a brewery, thanks to a fateful stop between performances. "We always visit breweries while on the road," says Dunn. "During a tour stop in Virginia during 2015, we went to a homebrew store and ended up brewing our first batch of beer in our RV. We called it Trailer Ale (as it was made on the road), and the clowns in our show designed the beer label for us. Everybody loved it so much that we continued to make more." Beer has since become a passion, and it's something the pair hopes to combine with other interests in establishing their brewpub. "Visan is in love with all aspects of beer," explains Dunn. "I'm in love with the craft, with the creation. We feel the same way about food, and are often disappointed when we eat out knowing we could make something better at home. We have been spoiled during our travels and have visited hundreds of breweries, restaurants and bars. The variety and trends we have experienced from around the world are things we have included in our concept, which is to make recipes from all over the world, but in our own backyard and using local ingredients." Of course, as was alluded to above, it won't just be talents in the kitchen and brewhouse that are on display at G Town. "Our lifestyle isn't ordinary, so our brewpub won't be either," says Dunn. "We intend to host cirque shows every weekend, with live music and entertainment. We want to hold lots of exciting events for the community and create a fun environment for children of all ages." On that note, future patrons can expect G Town to serve a variety of beverage types. House brews will pour from 10 taps, with styles varying from the everyday (blonde, IPA, Irish red, stout, porter, etc.) to the experimental. Wine and spirits will also be offered, as will real cane sugar sodas for kids and others who prefer a non-alcoholic option. As for when North Texans can expect the show to start, so to speak, Dunn and España have signed a lease on a downtown location at 2826 Lee Street in Greenville. They are currently working out of the country while the city reviews their plans, but once a building permit is secured, they'll return with the hope of getting G Town open within six months. And from the sound of things, they are eager to get to work making their dream a reality. "We began saving money while we continued working in the circus and touring," says Dunn. "Now, we are ready to come home and start a new adventure." 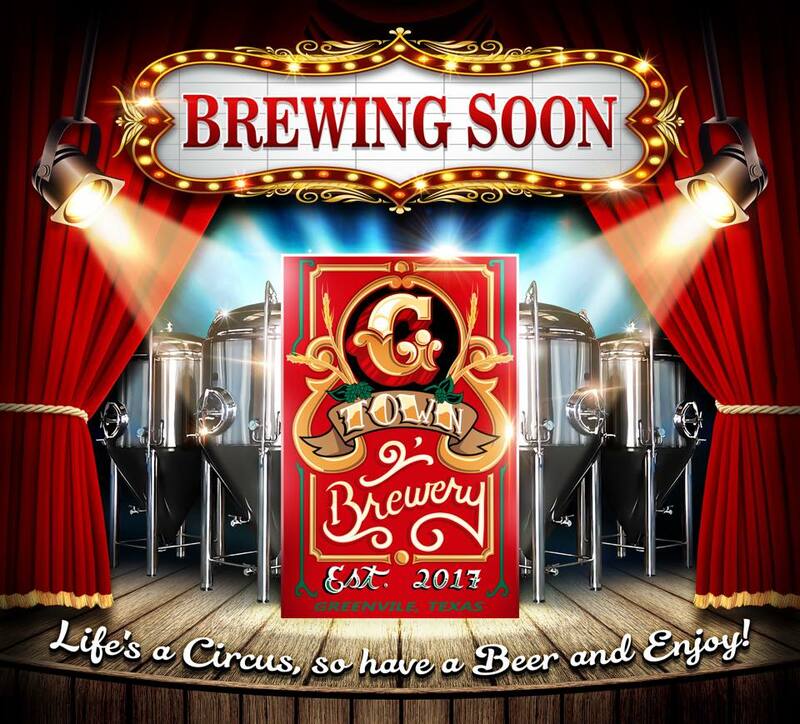 Stay up-to-date on G Town's progress by following the brewpub on Facebook.